VIENNA, Austria (Zenit.org).- Here is a communique released at the conclusion of the 12th plenary session of the International Mixed Commission for Theological Dialogue Between the Catholic Church and the Orthodox Church, which took place Sept. 22-27 in Vienna. 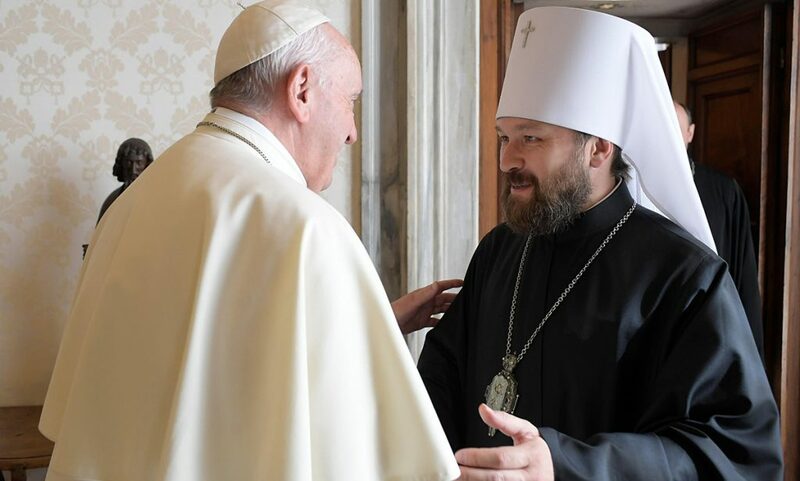 The twelfth meeting of the Joint International Commission for Theological Dialogue between the Orthodox Church and the Roman Catholic Church took place in Vienna, Austria, a city with a long history, a bridge between West and East, with a rich ecumenical life. The meeting, generously and fraternally hosted by the Roman Catholic Archdiocese of Vienna, from 20-27 September 2010, in the Kardinal König Haus. Twenty three Catholic members were present, a few were unable to attend. All the Orthodox Churches, with the exception of the Patriarchate of Bulgaria, were represented, namely the Ecumenical Patriarchate, the Patriarchate of Alexandria, the Patriarchate of Antioch, the Patriarchate of Jerusalem, the Patriarchate of Moscow, the Patriarchate of Serbia, the Patriarchate of Romania, the Patriarchate of Georgia, the Church of Cyprus, the Church of Greece, the Church of Poland, the Church of Albania and the Church of the Czech Lands and Slovakia. 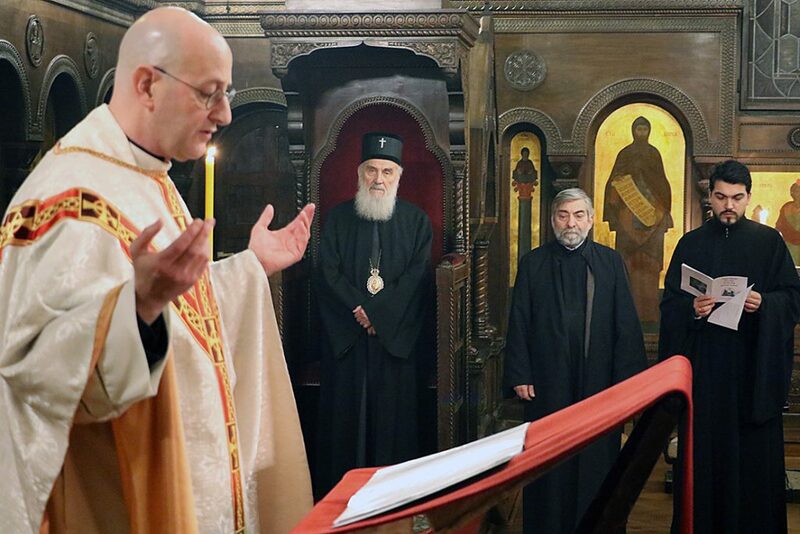 The Commission worked under the direction of its two co-presidents, Archbishop Kurt Koch and Metropolitan Prof. Dr John of Pergamon, assisted by the co-secretaries, Metropolitan Prof. Dr Gennadios of Sassima (Ecumenical Patriarchate) and Rev. Andrea Palmieri (Pontifical Council for Promoting Christian Unity). At the opening plenary session on Wednesday, 22 September, the Commission was welcomed very warmly by the host, Cardinal Christoph Schönborn of Vienna, and by Metropolitan Michael of Austria of the Ecumenical Patriarchate on behalf of all Orthodox Churches present in Austria. Both emphasized the importance of holding the meeting in Vienna, which occupies a particular place in the history of the whole of Christianity. In the evening a reception was given by the Mayor of Vienna, Dr. Michael Häupl, at the Vienna Town Hall. The co-presidents announced that His Holiness Pope Benedict XVI had urged intense prayer for the Commission meeting at his Wednesday General Audience and they read a Message to the participants from His All Holiness the Ecumenical Patriarch Bartholomew. A letter was sent by the co-presidents on behalf of the Joint Commission to the former President of the Pontifical Council for Promoting Christian Unity and co-president of the dialogue, Cardinal Walter Kasper, expressing gratitude and appreciation for his service and for his significant contribution. On Thursday, 23 September, the Ecumenical Council of Churches in Austria met the members of the Joint Commission at Kardinal König Haus. On Saturday, 25 September, the Catholic members celebrated the Eucharist in the Stephansdom in Vienna presided over by Cardinal Christoph Schönborn, in the presence of the Orthodox members. In his homily he said that “we have and we need a primacy in the canonical sense, but above all there is the primacy of charity. All canonical dispositions in the Church serve this primacy of love (agape)”. Afterwards a reception was offered in the Courtyard of the Archiepiscopal Palace of Vienna. 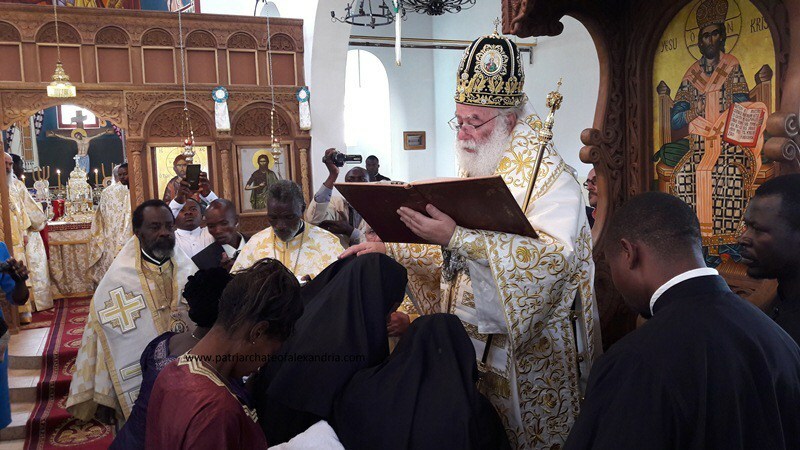 On Sunday, 26 September, the Orthodox members celebrated the Divine Liturgy in the Cathedral of the Holy Trinity of the Greek Orthodox Metropolitanate of Austria in Vienna, presided over by Metropolitan John of Pergamon, in the presence of the Catholic members. 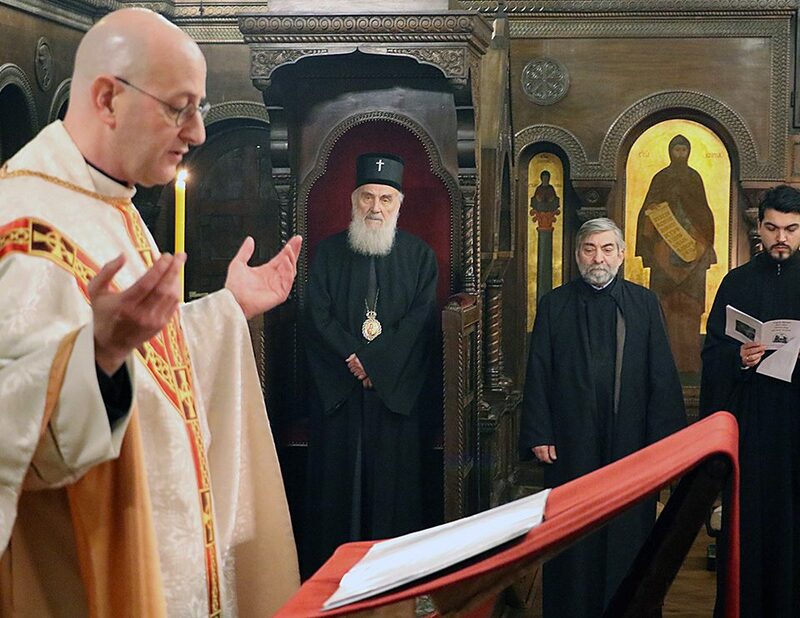 In addressing those present, Metropolitan Michael of Austria conveyed “the greetings of the Ecumenical Patriarch Bartholomew and underlined the role and the contribution of the Greek Metropolitanate to the history of Vienna with great eminent personalities”. 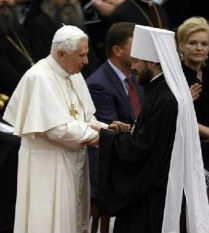 He also referred to “the close collaboration between Orthodox and Catholics in Austria and in Vienna in particular, expressing the wish that the Lord’s prayer ‘that all may be one’ (Jn 17:21) be a reality in the search for the unity of His Church”. During the afternoon, the members paid a visit to the Cistercian Abbey of Heiligenkreuz and attended the service of Vespers. Later in the evening, they visited the Russian Orthodox Cathedral of St. Nikolaus. 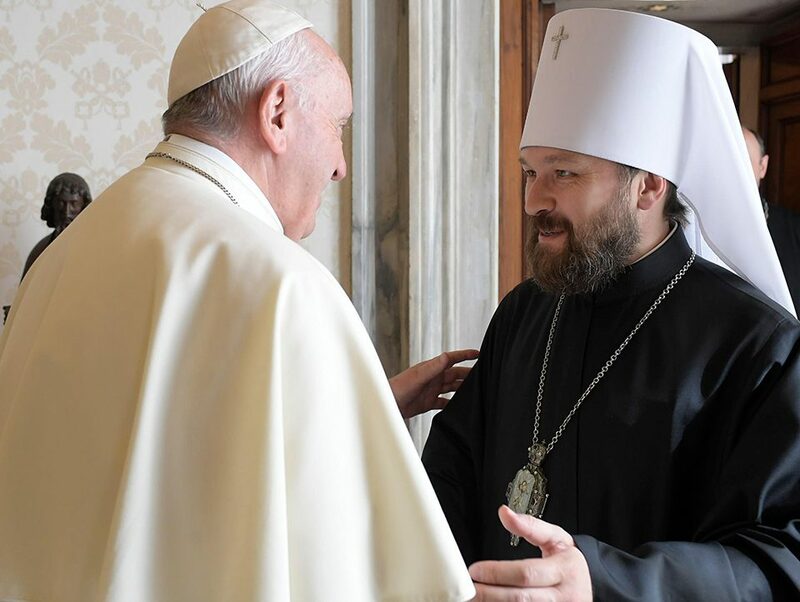 On the first day of the meeting, as is customary, the Roman Catholic and Orthodox members met separately to coordinate their work. The Orthodox meeting discussed among other things the unfinished draft text produced by the 11th plenary session in Paphos, Cyprus last year, and much time was given to the methodology of the dialogue. The Catholic meeting also considered the draft text, seeking specific ways to improve the text, and reflected on methodological questions. As was decided at the 10th plenary session in Ravenna, 2007, the Commission is studying the theme “The Role of the Bishop of Rome in the Communion of the Church in the First Millennium”, on the basis of a draft text prepared by the Joint Coordinating Committee, which met in Aghios Nikolaos/Crete, Greece, 2008. During its meeting in Vienna, the Commission continued the detailed consideration of the text which began at last year’s plenary session at Paphos, Cyprus. At this stage, the Commission is discussing this text as a working document and it decided that the text must be further revised. It was also decided to form a sub-commission to begin consideration of the theological and ecclesiological aspects of Primacy in its relation to Synodality. The sub-commission will submit its work to the Joint Coordinating Committee of the Commission which will meet next year. During the meeting the members received the sad news that Mgr Eleuterio Fortino, co-secretary of the Joint Commission since its inception, passed away, after a long period of illness, and prayers were offered for the repose of his soul. The meeting of the Joint Commission was marked by a spirit of friendship and trustful collaboration. All members greatly appreciated the generous hospitality of the host Church, and they strongly commend the continuing work of the dialogue to the prayers of the faithful.